The most ambitious fantasy TV series of 2005 returns. This time with a new twist and with a hi-tech modern effects lead by four new young stars. 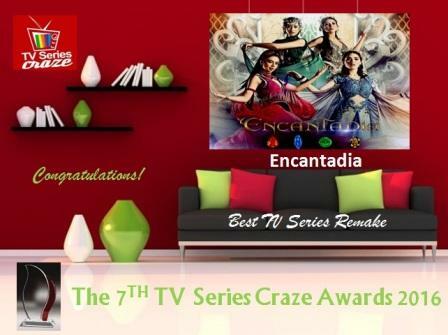 GMA-7's 2016 "Encantadia" is our Best TV Series Remake here in our very own, The 7TH TV Series Craze Awards 2016. Modernized with new glamorous costumes with new characters add more spice to the story. These even captivates more the interests of the viewers and netizens. The four new sangres namely Kylie Padilla, Glaiza De Castro, Sanya Lopez, and Gabbi Garcia who reprise the characters before of Iza Calzado, Sunshine Dizon, Diana Zubiri, and Karylle give new life and new flavors to the story! Even the hunks Rocco Nacino, Ruru Madrid, and Rodjun Cruz give a good fight beating the show's rivals in the rating game!